Schwalbe Ultremo ZX Evolution Folding Tyre. 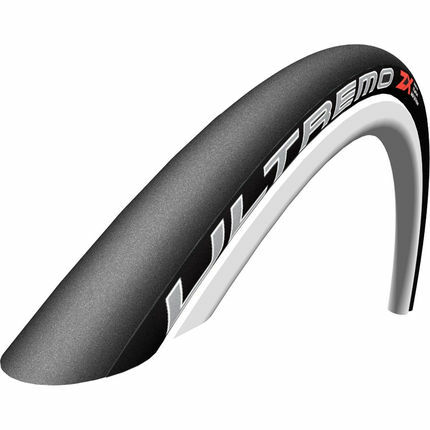 Uses a better rubber compound offering more grip whilst still offering a slick tread. Is around 150g lighter per wheel for easier loading. Incorporates a rubber lining down the centre of the tread adding a little puncture resistance. Provides a high pressure tyre for ultimate rolling efficiency.